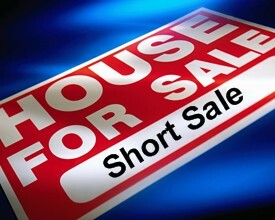 Many REO properties begin as a "short sale". A short sale is an agreement between the seller and the mortgage holder to sell the home for less than what the homeowner owes on the loan. This happens when a homeowner is behind on payments and is in danger of being foreclosed on. The mortgage company is the one who decides the absolute minimum amount it will accept. For example, if you owe $225,000 on a home that is only worth $175,000 and you have someone willing to pay $150,000, an offer can be presented to the mortgage company for the potential buyer's $150,000. The mortgage company then has the right to accept or decline the offer. If the offer is accepted, the house is sold and you avoid a foreclosure on your credit. Short sales can be a long process. That is another reason why you need a real estate professional on your side. They will do the legwork for you in making sure the banks get all the paperwork necessary, all offers are submitted and can act as your liason during this often stressful time. Please contact me whether you're interested in buying OR selling a foreclosure, REO or short sale in the Biloxi real estate market. I'll be happy to work with you.